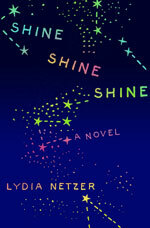 Lydia Netzer sold her literary novel Shine Shine Shine and soared to stellar heights as a New York Times Notable Book for 2012, and an Amazon Best Books of the Month selection. As part of NaNoWriMo’s Now What? Months, Lydia took the time to tell us how NaNoWriMo failures can become literary masterworks with a little perseverance and revision. At the age of nineteen, she sold her first young-adult novel to HarperCollins. 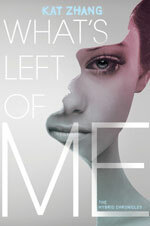 What’s Left of Me, the first book in the Hybrid Chronicles, tells the story of a fifteen-year-old girl struggling to survive in a world where two souls are born into each body and one is doomed to disappear. NaNoWriMo helped author Kat Zhang finish her first-ever novel; although it wasn’t the novel that she went on to publish, the experience proved to her that she could accomplish the improbable. An interview with About.com travel writer and young adult author, Kirsten Hubbard. Her debut YA novel, Like Mandarin, was published by Delacorte Press/Random House in March 2011, and her second novel, Wanderlove, was published in March 2012. Wanderlove follows 18-year-old Bria Sandoval’s adventures through the alluring destinations of Belize and Guatemala, and the even more alluring backpacker scene that sweeps her off her feet.com. This year, NaNoWriMo was sponsored by ThrillerFest, the world’s largest thriller-novel convention, which includes a writing school, the opportunity to pitch your thriller to fifty agents, and a celebration of thriller writers and readers. Director-at-large, R.L. Stine, is one of the best-selling children’s authors in history with over 350 million copies sold of series including Goosebumps and Fear Street. Last fall, he released his second adult novel, Red Rain. He took the time to tell us just how he’s sustained his passion for writing.